Bowieblogs on 30 Century Man: Drift over to Bowienet for some wonderful commentary from the sons and daughters of the silent age. a review from a great arts & culture blog called Spank The Monkey. from a blog called Stereogum, complete with snarky jaded hipster back-talk. Anticipation grows for our Berlinale screening over at Ana Karina’s Sweater. …and now Ana Karina’s Sweater weighs in. The Playlist’s commentary on Tribeca screening #2. “Really enjoyed it, thanks.” says Mapsidaisical. You’re very welcome. Gettingshitdone saw one film at Tribeca. Thanks GSD. Scott W is a Righteous Brother says Slog - a pre-Seattle teaser on The Stranger’s blog site. Wowing ‘em in Finland - a Midnight Sun Film Frest wrap-up from Indiewire. Kijak blogs on Variety.com about the Oslo Film Fest. PixelVision’s blog about the Vancouver fest screening. Fabric of Folly posts a list of the Top Twenty Best Films About Music. SK guest-stars on Ted Hope’s blog “These Are Those Things.” A blog about inspiration. You Still Believe in Me still believes in Scott. Amusing comments from the Brooklyn Vegans. 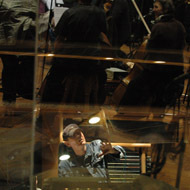 SK guest-posts on another great Ted Hope blog: Let’s Make Better Films. A short essay on finding the emotional truth of a subject in the documentary form. 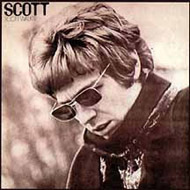 Amoeba Records blog : Attention all Bay Area Scott Walker fans! Valerie almost broke down and bought the movie on dvd, but “whew”, waited and experienced Big Screen Scott. Renowned Rock Photog Chris Walter joins SK at the LA Preem of SW30. A slideshow of pics from the Scott Walker Tribute night at Bordello, downtown LA. Michael Azerrad writes about one of my favorite DVD extras (the Brian Eno interview, and his comments about lyrics) in his blog You and What Army. Dennis Cooper: A mid-year round-up of loose candidates for my year-end Best-of 2009 Top 10 lists. “Like a flashlight beaming into a dark room…” Acme Video - great blog from a great video store in Providence, RI. 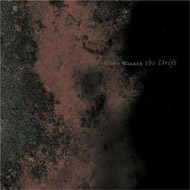 The release of the DVD in the USA prompts this round-up of Walker’s career on LibraryJournal.com: “Between The Drift, the documentary, a sublime guest vocal on the Bat for Lashes album Two Suns, and his 2007 score for modern dance, And Who Shall Go to the Ball?, this is the most furious creative harvest from Walker we’ve seen in decades. Is pop music’s J.D. Salinger back for good?”and these comments about the film. “Holy hell, just finished watching the documentary. Blew me away. I recommend this to anyone remotely interested in poetry, the abstract art or anyone with a big imagination…” Just a short but amusing thread about the film. “Hats off to Oscilloscope Laboratories, the production and distribution company founded last year by Adam Yauch of the Beastie Boys, for picking up this wonderful film and getting it out on DVD.” Thanks ! A former vinyl junie and 60’s music head re-discovers Scott by accidentally stumbling across our film - very nice write-up on his blog…The Biped’s Monitor. “I was hooked. Listening to his songs I started to hear how much he influenced people like David Bowie, Richard Hawley, The Smiths, Brian Eno, Antony and the Johnsons. And how dark and disturbing his music really is. And beautiful. Even though I really don’t like it. But it does something to me and now I am all over the internet trying to hear more of it. Trying to figure out what is happening in these songs, wanting to talk to people about it. I think I might join the cult. “For those who saw the “30 Century Man” documentary (and I strongly recommend you do), the brief section where they listen to “Tilt” in a church-like building was a revelation.” I’m not exactly sure what scene that is! (the “Pola X” scene?) but this is a very good “new appraisal” of Scott’s magnificent 1995 album “Tilt”. “The World’s Strongest Man; An Appreciation of the 30th Century Man” a great personal essay about discovering Scott’s music and a bit of an appreciation of the film too. SW30 “Murders Mystery (in a good way)” says a blog called Sleep Never. Stereogum’s 10 Best Indie Rock Docs!